We offer other packaging materials such as PVC foils for blister packing, caps/ closure of metal and plastics, plastic trays for ampoules and cartons for bottles/tubes. We are a distinguished manufacturer, supplier and exporter of a wide array of Plain Aluminum Foils. It is made using pure aluminum and other grade material and is developed under the guidance of our professional employees. It is used in air conditioner, storage tanks, transformers, containers, packaging, radio and televisions. Graphic printing, on any type paper, paper board, lamination, etc. 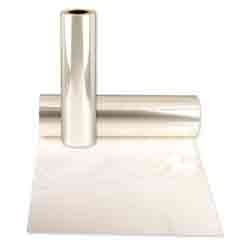 Paper grade foil is mostly used in, sticker, label, books, greeting cards, Wedding cards, etc. 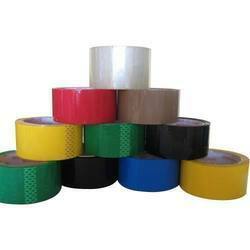 Plastic Rolls in All types of materials like HM, LD, PP, BOPP, Laminated etc. ACG Pharmapack manufactures a complete range of high quality barrier-packaging films for the pharmaceutical, OTC, food and medical devices industries including calendared PVC film, PETG, Barex, PVdC coats and produces PVC/Aclar and other complex laminates. Owing to our rich industry experience, we are able to offer Frosted Glass Films that are easy to apply and are highly durable. We manufacture these films using superior quality raw material that is procured from the reliable vendors of the market. These films are widely used as furniture decorating item and as protective shield for books.